When we talk about art in fashion we instantly think of Salvador Dalí collaborating with Elsa Schiaparelli in the creation of the lobster dress in 1937 or the Piet-Mondrian-inspired collection of Yves Saint Laurent in 1965. 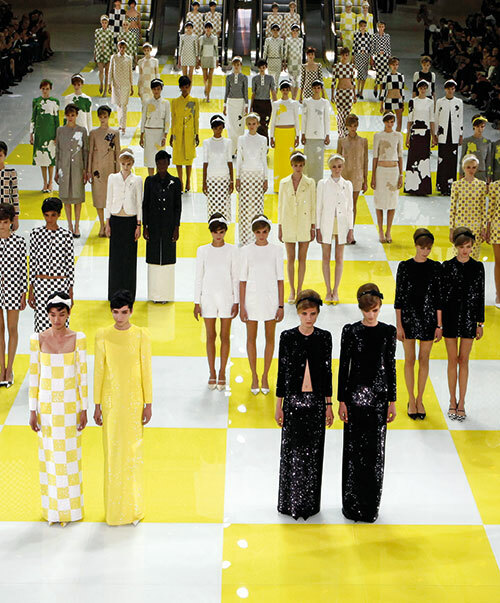 Art and luxury fashion are natural allies and have been since a significant amount of time. The 20th century is full of examples of inspirations, appropriations and collaborations between these two entities. The aspects that art and fashion have in common are endless and also obvious. Both involve creativity and the elaboration of thoughts and concepts into something new, and in most cases they need certain manual skill sets to process and transform ideas into a physical end product. Both are cultural and commercial exercises at the same time and reflect the taste of elites. Both also function as the representation of the zeitgeist, witnessing the moment of time in which they have been created. It implies somehow the notion of exclusivity because it is understood, and maybe even valued, by a restricted group of people. Art is for the few, the intellectual individuals, who know and understand. When fashion collaborates with art, this elitist notion gets transferred to the ones who will acquire a product evolved from this project. The attribution of an artistic value to a fashion product bares an advantage on various levels: on the one side it promotes a product to a different and higher status, on the other, it has the power to educate the consumer of luxury of current trends in the art world. Consumers who usually are not involved in cultural and intellectual experiences will accept the luxury brand as their educator and as facilitator of the elitist experience that is conjured up by art. It is doubtful, in fact, that the majority of customers of the monogram bag, one of the most commercial items in fashion, had heard of Stephen Sprouse, Daniel Buren or Richard Prince before Louis Vuitton embarked on an artistic collaboration with them. Art and fashion collaborations have many positive aspects for everyone involved. The artist gets a much wider exposure of his artwork in addition to a very generous compensation for his collaboration. The fashion consumer can acquire a beautiful, limited-edition product and become part of an exclusive circle of connoisseurs. The luxury brand adds value in terms of brand identity and storytelling and positions itself in the range of players who offer high exclusive tangible and intangible values, creating a new form of luxury branding while impacting the contemporary art world itself. But moreover, the items created in a collaboration between an artist and fashion designer have a very high probability of being uncommonly beautiful and therefore attractive for purchase: two experts of their respective fields have joined their talents to create one unique artefact. The outcome has to be nothing less than exceptional in terms of concept and beauty. Creative love children of Marc Jacobs and Yayoi Kusama, Damien Hirst and Alexander McQueen or Alessandro Michele and Unskilled Worker… weren’t they just doomed to be unearthly beautiful? The art and fashion collaboration is the most apparent way of engagement between the two nowadays but neither the only one nor the most frequent. Fashion has been inspired by art since forever. The attribution of additional artistic value to a piece of garment and to fashion is a longtime established conversation. It is not always clear though where an inspiration begins and where it develops into pure appropriation. In the case of a collaboration the artist will be paid for his work, while when a piece of art has been used as inspiration this is most likely not the case. Many designers choose to refer to their inspirations as tributes to the artist, if credit is given at all. This practice might be debatable but is commonly accepted within the world of art and fashion. In SS17, Phoebe Philo for Céline placed a piece of Yves Klein’s painting series Anthropometrie de l’époque bleue from 1960 on a pure white dress. In the same season, Pierpaolo Piccioli for Valentino fancied medieval art and, more specifically, Hieronymus Bosch’s triptych The Garden of Earthly Delights. Both are beautiful examples of art and fashion merging into a luxury fashion product and the endless necessity for uniqueness and refined aesthetics makes art the perfect source of research and inspiration of designers. While the relationship between art and fashion is heterogeneous regarding inspirations, the commitment fashion corporations and brands show when it comes to sponsoring or investing in art is significant. Fashion professionals and companies are highly involved in the acquisition and promotion of art and applied arts in terms of investments in art exhibitions and even museums and art foundations, acting more and more as mecenates. 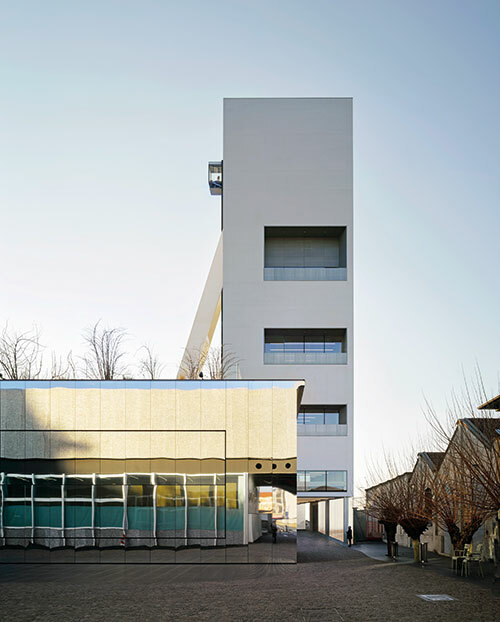 To infuse art culture into their organisations and companies, luxury groups have created foundations and special collections such as Fondation Cartier in Paris, Fondazione Prada in Milan or museums like Punta della Dogana and Palazzo Grassi in Venice by the Kering group. Art patronage is known throughout history, and art without the support and protection of the powerful elite would not exist to the extent we know. Think about the role the church has had over the centuries in Europe in the sustenance of art. On the other hand, boutiques, and concept and flagship stores are experiencing a transformation: from being just shops to the status of museums. Just as Andy Warhol, the godfather of pop art predicted decades ago: ‘All department stores will become museums, and all museums will become department stores.’ Star architects like Rem Koolhaas and Zaha Hadid are employed to create cathedrals of luxury and artists are designing the most spectacular window displays, making audacious and artful statements capable of inducing excitement and astonishment in their luxury clients. But even more than that, some luxury brands, such as Louis Vuitton and Chanel, have embedded contemporary art exhibition spaces in their flagship stores as a proactive strategy for a constantly demanding market. Support is also provided to fashion in the sphere of artistic communication of collections or brands themselves. The most celebrated way is by creating beautiful fashion films by video artists and film directors. Today there exist fashion movie festivals and the online fashion website Showstudio, founded and directed by Nick Knight, has consistently pushed the boundaries of communication in fashion since 2000 by collaborating with brands such as Alexander McQueen, Comme des Garçons and Rick Owens. Furthermore, artists are called in to perform during fashion shows, like Marina Abramović for Givenchy, or to create fashion presentations like Vanessa Beecroft for Yeezy. Another example? To communicate in an ironic manner with his clientele, Gucci’s Michele has started from the very beginning to employ underground and subcultural phenomena and artists in his social media campaigns. Since Michele has taken over Gucci, he’s expressed an interest in internet culture and has brought into his fold artists who have earned a following through their Instagram accounts. One of them is #GucciGhost, a graffiti artist from New York, who has covered every surface he could find with his interpretations of the iconic Gucci logo. The Italian brand not only noticed and appreciated the designs but integrated them into its collections, store designs and communications. The process of artification converts non-art into art to elevate fashion to an even higher status of intellectual and aesthetic value. Because art is the acme of human activity, associating luxury brands with it reinforces its symbolic authority of non-commercial, and paradoxically also financial, connotations. The most representative narrative of the relationship between art, artist and money that needs to be taken into account is the work of Andy Warhol. Not only did he call his art studio the Andy Warhol Factory, implying the notion of technical reproduction as part of art, additionally he was the first to engage in the process of commercialised art. 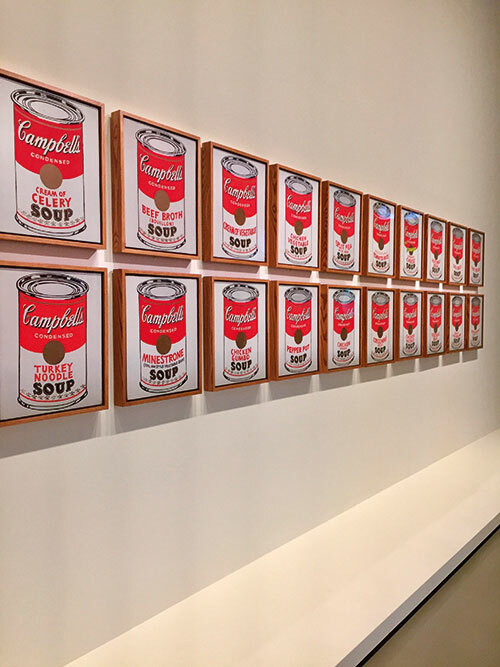 In his artworks of Campbell’s Soup and Brillo Boxes, he conferred and elevated commercial products to the status of art. 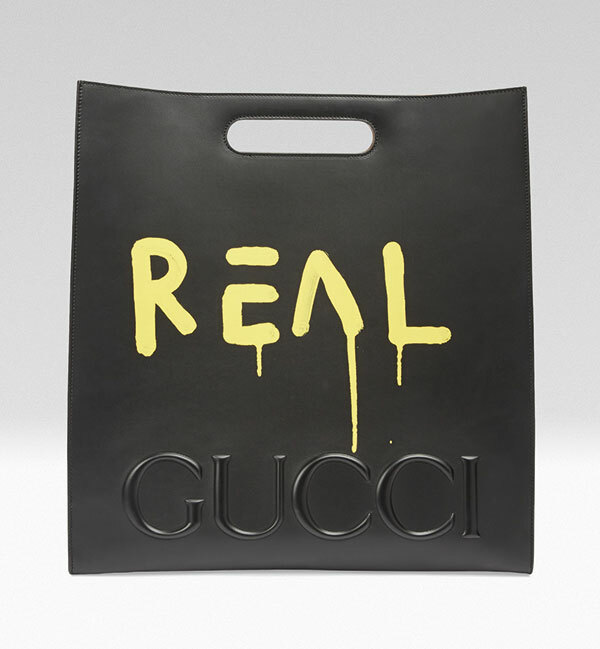 Luxury brands are not operating any differently from Warhol’s initiated concept of artification, and this strategy will continue to sustain art in fashion as a significant driver of the industry.